We have the experience and culinary flair to deliver an unforgettable wedding feast that will wow you and your guests. 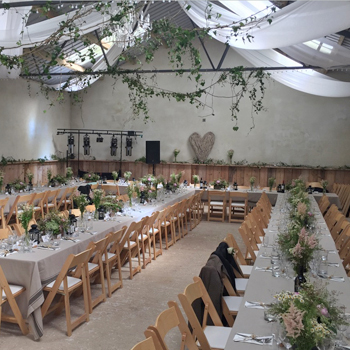 Planning a wedding in South Devon for 50 to 250 guests? 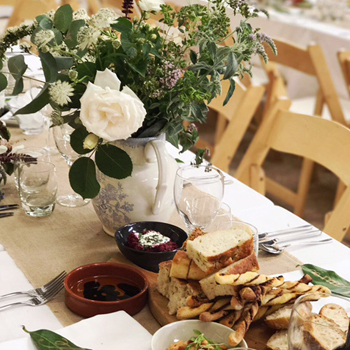 Why not let us design a bespoke menu to your specific taste or event theme – from fun, quirky menus or delicious rustic food to sumptuous sharing platters or a fine-dining silver service. We’ll invite you to a free tasting, coordinate with your suppliers and visit your chosen venue before your big day. Then we’ll plan your meal down to the last detail and ensure everything goes smoothly so you can enjoy your special occasion. Most importantly, our experienced staff will wait on you and your guests throughout your day and deliver an impeccable service. 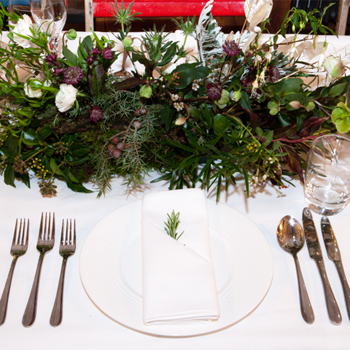 We can supply all table linen, crockery and cutlery to compliment whatever wedding theme you choose. We are happy for you to supply your own drinks and never charge corkage and if you offer a free bar we’re happy to run it for you. If you want a cash bar we can recommend some suppliers and organise everything for you. We can also help with the hire of BBQs, refrigeration, ovens, hog roasts and anything else that helps you enjoy a hassle-free day. We understand that most weddings have guests with different dietary needs. That’s why we always provide alternative menus for guests with special dietary needs or plan a feast that everyone can enjoy. We can discuss your specific needs when we get together.